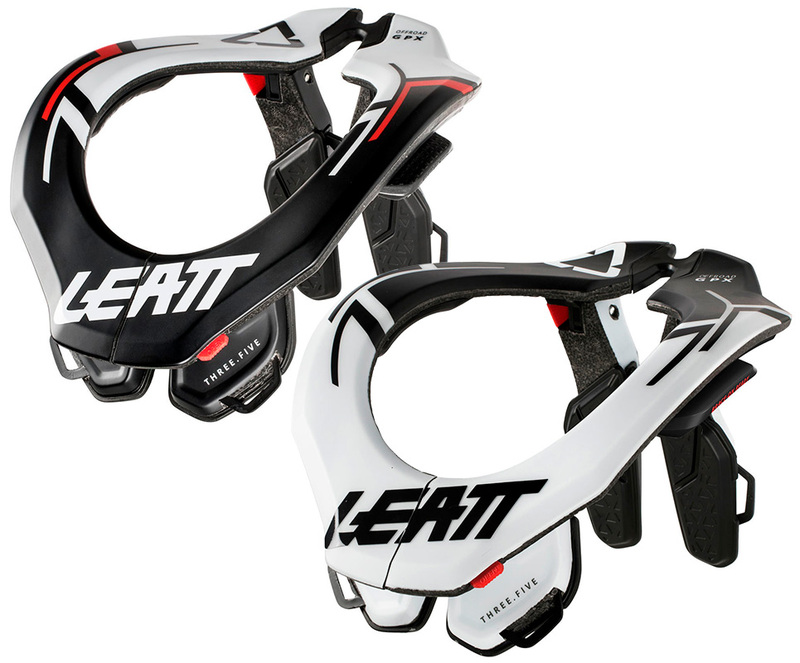 Leatt Neck Brace GPX 3.5 (Off-Road Neck Brace). Polycarbonate shell with polyamide reinforced EPS construction. Reduces the risk of severe neck injury up to 43%. CoreFlex rear part, adjustable and removable perfectly fits most of the riders' sizes and movements. Rear part is engineered to snap off before excessive pressure is applied to the back. Collarbone cut-out to keep helmet and Leatt brace away from most fragile bones. Durable and washable foam padding. Easy opening / closing system with push-button. Clear straps for a greater fit included.